[. . .] Another statistic states: "Digital billboards are making headway nationally. More than half (55%) of travelers have noticed a digital roadside billboard in the past month and nearly one-third (32%) have noticed one in the past week" ("Zinc LED screens solutions," 2009). It just affirms that digital billboards are the way to go for companies like Nike in promoting and effectively marketing their products. This leads into Nike's pricing strategy. Nike uses Price Leadership strategy and value-based pricing. 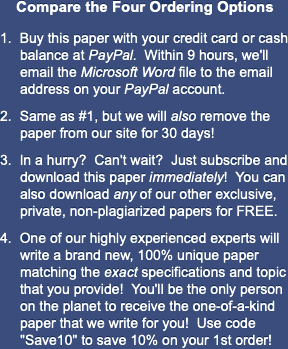 They do this in order to satisfy pricing objectives. Their pricing objectives may encompass consumer price elasticity and price points; and the resources they readily have available. Nike spends a lot of money on advertising. This is because they want to establish their brand as a top of the range brand to instill customer trust and loyalty. Nike has many resources on their side because they are such a trusted and established company. They have the means to effectively market and promote their product. So they will allocate those resources in a way that will keep their profits high. Their constant advertisements and promotions make customers believe the Nike name is a high quality brand. Because of this, customers will buy Nike products for the Nike symbol and are willing to pay higher prices despite the value of the sneaker being less than the price. This of course will also depend on the life cycle of the product. New products get a certain price point, mature products might get discounts and promotions, and then when the product declines, it will receive a sale or mark-down price (Knight, 2002, pp. 541-570). This is value-based pricing. Value-based pricing is directly spurred on by advertisements and promotions. Value-based pricing can also be effected as explained earlier by customer demand. The life cycle of a product will generate customer price elasticity. This in turn will turn the price of a product into a continually negative pattern. The less a product is desired, the lower the price. Price leadership strategy involves the leader, in this case, Nike placing the value of a product. Because Nike has established itself as a top range brand, they can establish the price points of sneakers. Other companies like Reebok, can offer lower prices in the hope of competing with companies like Nike. This pricing strategy also relates to advertisement and promotions because it relies on popularity and success of the brand in order to establish pricing (Chu, 2010, pp. 129-145). Reebok already has the option of lowering their prices to gain a competitive advantage. They can also offer deals that can move more product for less effort. The classic 2 for 1 deal will enable them to keep their prices normal, but still move their products while competing with companies like Nike. They initially inflate the prices of the sneakers and then offer a 2 for 1 deal to make it look like the consumer is getting a good deal when in reality they're only paying slightly less than what they would have paid if the company priced in normal range. In conclusion, companies like Nike and Reebok have to work hard in order to build a customer base. They do this through advertisements and promotions. Without these promotional strategies, they cannot generate a profitable pricing model to enable their companies to generate and sustain profitability. Nike has become one of the leading sneaker brands in the footwear market. People trust that the products Nike offers are long-lasting and well designed. Thanks to the continual efforts of Nike to retain their customer base by providing high customer satisfaction, they are able to price their products higher than others simply based on their brand power. If competitors like Reebok wish to gain a competitive advantage, they have to lower their prices and advertise like Nike does. This in turn will allow them to become leaders like Nike in the footwear industry. Additionally, because sneakers have become something that promotes active lifestyle and health, it's important for these companies to convey a motivational and inspirational message in order to attract consumers. With this in mind, companies like Nike must also see where they will get their most reach for the least amount of money. Digital billboards are great in reaching many people and especially people willing to make purchases. If Nike adopts an advertising strategy that motivates these buyers to spend their money on their product, they will gain an even bigger customer base. "Nike and Reebok." 28 February 2014. Web. 26 April 2019. <https://www.essaytown.com/subjects/paper/nike-reebok/2960087>. "Nike and Reebok." Essaytown.com. February 28, 2014. Accessed April 26, 2019.